Modern trabeculectomy remains the gold-standard surgical option in glaucoma, with excellent long-term success rates and relatively low serious complication rates. However, these improved outcomes imply a careful preoperative risk stratification, a meticulous intraoperative technique and watchful postoperative care. This review discusses some trabeculectomy-related complications and various strategies to prevent or treat these conditions. Compliance with Ethics : This study involves a review of the literature and did not involve any studies with human or animal subjects performed by any of the authors. The named authors meet the International Committee of Medical Journal Editors (ICMJE) criteria for authorship of this manuscript, take responsibility for the integrity of the work as a whole, and have given final approval to the version to be published. This article is published under the Creative Commons Attribution Noncommercial License, which permits any non-commercial use, distribution, adaptation and reproduction provided the original authors and source are given appropriate credit. © The Authors 2018. Nowadays, long-term success rates approach values higher than 90%, with relatively low serious complication rates.6–8 However, these improved outcomes imply a careful preoperative risk stratification, a meticulous intraoperative technique and watchful postoperative care. This review discusses some trabeculectomy-related complications and various strategies to prevent or treat these conditions. The integrity of the conjunctiva filtering bleb is crucial for the success of this surgery. One of the main causes of surgical failure – bleb scarring – justified the use of antifibrotics such as mitomycin C (MMC) and 5-fluorouracil (5-FU) to improve surgical success. However, these chemoadjuvants may contribute to complications such as bleb leak, blebitis and overfiltration with hypotony.9 It is thus important to know how to deal with these complications, either with medical therapy alone or with a surgical revision. 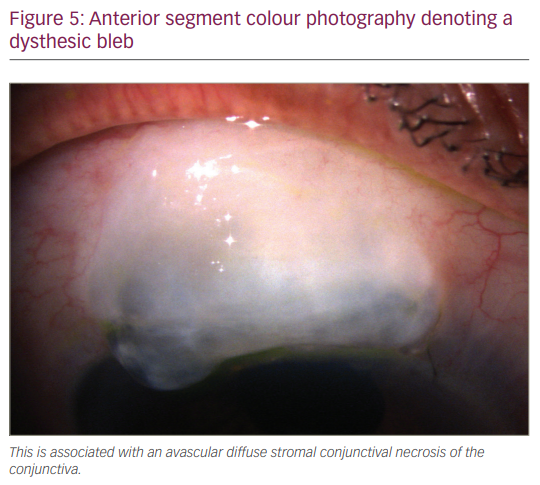 The most common cause of an early bleb leak is an inadequate conjunctival wound closure leading to a flat bleb, shallow anterior chamber and hypotony (Figure 1). Several studies suggest an increased incidence of postoperative leakage with fornix-based conjunctival incisions, as noted by glaucoma surgeons when shifting from a limbus-based to fornix-based technique. However, the use of the latter approach is advantageous as it is easier to perform, allows for a better exposure and sclerostomy visualisation, the area of dissected conjunctiva is smaller, it may be easier to re-intervene and, most importantly, it is associated with more posteriorly located and diffuse blebs.5,10 As a serious complication, the prevention of postoperative bleb leaks is of paramount importance, with special attention paid to intraoperative conjunctival manipulation and reproducible watertight closure techniques. Keep in mind, however, that even when identified postoperatively, rarely is a surgical intervention necessary to repair a bleb leak. Recent data from Alwitry et al. suggest that an early bleb leak is not necessarily a poor prognostic indicator of intermediate bleb survival.11 In their study, almost half of cases (48.1%) were managed conservatively using a bandage contact lens, and 15% of them were managed with primary re-suturing.11 The identification of the exact site of leakage is important. A wound edge leakage after a fornix-based surgery can be managed by first ensuring that any rolled-in edge of conjunctiva on the limbal side is unfolded, and the limbal epithelium may be scraped to ensure a raw surface for better conjunctival healing. The edge should then be secured with appropriate stitches. In the case of a conjunctival buttonhole, a purse-string suture is often employed. If it is near the limbus, it can be directly sutured to the cornea or limbal sclera.9 However, in many cases, for the conjunctival buttonhole or suture hole, if the location is not too far away from the limbus, a large-diameter bandage contact lens and steroid tapering may be effective. The hypotony (<6 mmHg) associated with overdrainage also increased after the wide use of antifibrotic agents (especially MMC). Most cases in the early postoperative period settle without intervention. 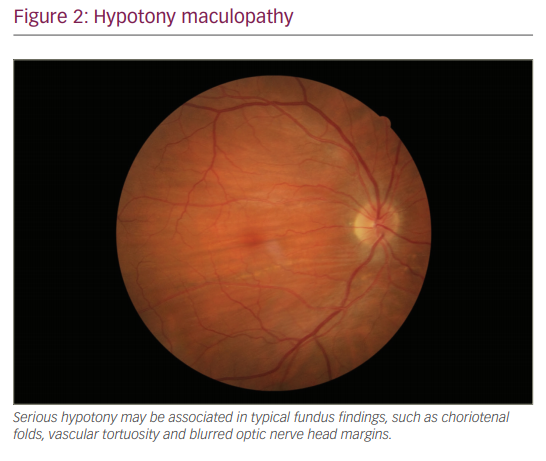 Hypotony becomes more relevant when accompanied by a shallow anterior chamber, choroidal detachment or associated maculopathy (Figure 2), in which case a surgical intervention may be necessary. Various therapeutic options have been described to manage late bleb leaks, namely the use of aqueous suppressants and bandage contact lenses.18,19 The former reduce the aqueous flow allowing for epithelial proliferation while bandage contact lenses promote epithelial migration and facilitate wound healing. Ultimately, it is important to emphasise the careful use of non-toothed forceps for handling the conjunctiva; blunt dissection; round-bodied suturing to help reduce conjunctival buttonholes and suture holes; and the avoidance of aggressive use of MMC or 5-FU. When discussing the risks and benefits of glaucoma filtration surgery, these data raise the importance of discussing with the patient the relatively high likelihood of cataract development and need for surgery in the short term. Along this line, the threshold for cataract removal at the time of the trabeculectomy should be lower. As a note, when performing the phacoemulsification, the corneal incisions should be away from the bleb area to preserve its integrity. 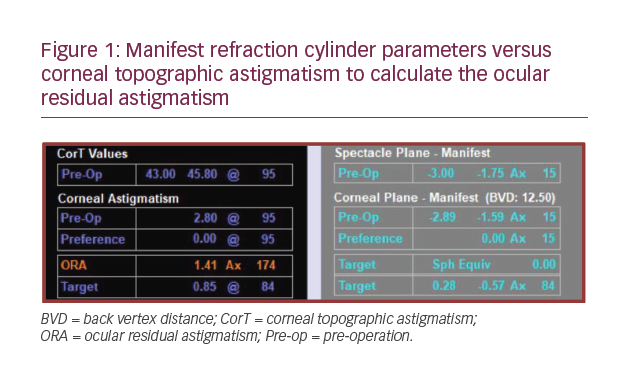 This short review addressed some complications associated with glaucoma filtration surgery. An attentive patient selection, careful antimetabolite usage, meticulous surgical technique and suturing, and watchful postoperative care will make the rate of occurrence of these complications very low. However, as trabeculectomy will be in the field for many years yet, it is necessary and possible to solve the rare but potential complications effectively. In fact, as we now have 50 years of accumulated experience in this surgical technique, all possible complications have been seen, described and dealt with. 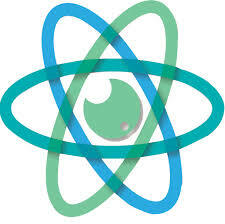 Now that we are proficient in managing it, we should be cautious when considering any alternatives. Our patients will thank us for this. Sugar HS. Experimental trabeculectomy in glaucoma. Am J Ophthalmol. 1961;51:623–7. Cairns JE. Trabeculectomy: Preliminary report of a new method. Am J Ophthalmol. 1968;66:673–9. Razeghinejad MR, Fudemberg SJ, Spaeth GL. The changing conceptual basis of trabeculectomy: A review of past and current surgical techniques. Surv Ophthalmol. 2012;57:1–25. Stalmans I, Gillis A, Lafaut AS, Zeyen T. Safe trabeculectomy technique: Long-term outcome. Br J Ophthalmol. 2006;90:44–7. Khaw PT, Chiang M, Shah P, et al. Enhanced trabeculectomy: The Moorfields Safer Surgery System. Dev Ophthalmol. 2017;59:15–35. Ryan A, Saad T, Kirwan C, et al. Maintenance of perioperative antiplatelet and anticoagulant therapy for vitreoretinal surgery. Clin Experiment Ophthalmol. 2013;41:387–95. Gedde SJ, Singh K, Schiffman JC, Feuer WJ. The tube versus trabeculectomy study: Interpretation of results and application to clinical practice. Curr Opin Ophthalmol. 2012;23:118–26. Gedde SJ, Herndon LW, Brandt JD, et al. Postoperative complications in the tube versus trabeculectomy (TVT) study during five years of follow-up. Am J Ophthalmol. 2012;153:804–14.e1. Leung DYL, Tham CCY. Management of bleb complications after trabeculectomy. Semin Ophthalmol. 2013;28:144–56. Shuster JN, Krupin T, Kolker AE, Becker B. Limbus-V fornix-based conjunctival flap in trabeculectomy: A long-term randomized study. Arch Ophthalmol. 1984;102:361–2. Alwitry A, Rotchford A, Patel V, et al. Early bleb leak after trabeculectomy and prognosis for bleb failure. Eye. 2009;23:858–63. Edmunds B, Thompson JR, Salmon JF, Wormald RP. The National Survey of Trabeculectomy, III: Early and late complications. Eye. 2002;16:297–303. Monteiro De Barros DS, Kuntz Navarro JBV, Mantravadi AV, et al. The early flat anterior chamber after trabeculectomy: A randomized, prospective study of 3 methods of management. J Glaucoma. 2009;18:13–20. Palmberg P, Zacchei AC. Compression sutures: A new treatment for leaking or painful filtering blebs. Investig Ophthalmol Vis Sci. 1996;37(3). Maruyama K, Shirato S. Efficacy and safety of transconjunctival scleral flap resuturing for hypotony after glaucoma filtering surgery. Graefe’s Arch Clin Exp Ophthalmol. 2008;246:1751–6. Kahook MY, Schuman JS, Noecker RJ. Trypan blue-assisted neodymium:YAG laser treatment for overfiltering bleb. J Cataract Refract Surg. 200632:1089–90. Sony P, Kumar H, Pushker N. Treatment of overhanging blebs with frequency-doubled Nd:YAG laser. 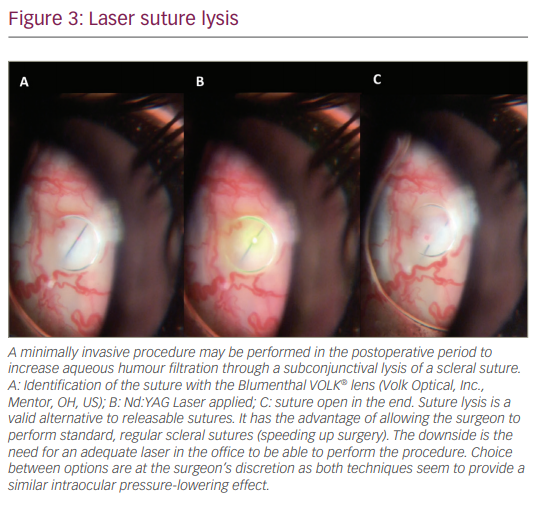 Ophthalmic Surg Lasers Imaging. 2004;35:429–32. Blok MDW, Kok JHC, Van Mil C, et al. Use of the megasoft bandage lens for treatment of complications after trabeculectomy. Am J Ophthalmol. 1990;110:264–8. Wu Z, Xu G, Weinreb RN, et al. Optic nerve head deformation in glaucoma. Ophthalmology. 2015;122:1317–29. Burnstein AL, WuDunn D, Knotts SL, et al. Conjunctival advancement versus nonincisional treatment for late-onset glaucoma filtering bleb leaks. Ophthalmology. 2002;109:71–5. Rauscher FM, Barton K, Budenz DL, et al. Long-term outcomes of amniotic membrane transplantation for repair of leaking glaucoma filtering blebs. Am J Ophthalmol. 2007;143:1052–4. Schnyder CC, Shaarawy T, Ravinet E, et al. Free conjunctival autologous graft for bleb repair and bleb reduction after trabeculectomy and nonpenetrating filtering surgery. J Glaucoma. 2002;11:10–6. Lin AP, Chung JE, Zhang KS, et al. Outcomes of surgical bleb revision for late-onset bleb leaks after trabeculectomy. J Glaucoma. 2013;22:21–5. Ioannidis AS, Barton K. Cyclodialysis cleft: Causes and repair. Curr Opin Ophthalmol. 2010;21:150–4. 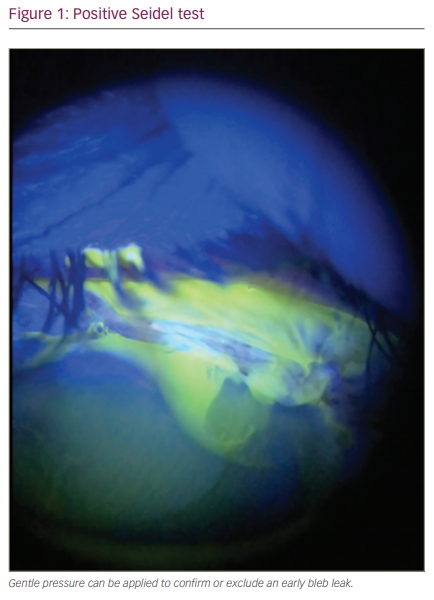 Lois N, Wong D, Groenewald C. New surgical approach in the management of pseudophakic malignant glaucoma. Ophthalmology. 2001;108:780–3. Krix-Jachym K, Zarnowski T, Re˛kas M. Risk factors of malignant glaucoma occurrence after glaucoma surgery. J Ophthalmol. 2017;2017:9616738. Grzybowski A, Kanclerz P. Acute and chronic fluid misdirection syndrome: pathophysiology and treatment. Graefe’s Arch Clin Exp Ophthalmol. 2018;256:135–54. Byrnes GA, Leen MM, Wong TP, Benson WE. Vitrectomy for cary block (malignant) glaucoma. Ophthalmology. 1995;102:1308–11. Gedde SJ, Feuer WJ, Shi W, et al. Treatment outcomes in the primary tube versus trabeculectomy study after 1 year of follow-up. Ophthalmology. 2018;125:650–63. Jeganathan VSE, Ghosh S, Ruddle JB, et al. 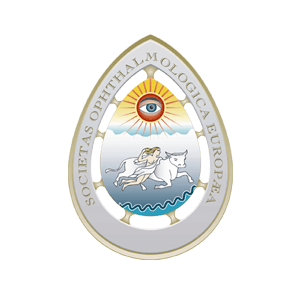 Risk factors for delayed suprachoroidal haemorrhage following glaucoma surgery. Br J Ophthalmol. 2008;92:1393–6. Vaziri K, Schwartz SG, Kishor KS, et al. Incidence of postoperative suprachoroidal hemorrhage after glaucoma filtration surgeries in the United States. Clin Ophthalmol. 2015;9:579–84. Jampel H. Trabeculectomy: More effective at causing cataract surgery than lowering intraocular pressure? Ophthalmology. 2009;116:173–4. Wong TT, Khaw PT, Aung T, et al. The Singapore 5-Fluorouracil Trabeculectomy Study: Effects on intraocular pressure control and disease progression at 3 years. Ophthalmology. 2009;116:175–84. Palanca-Capistrano AM, Hall J, Cantor LB, et al. Long-term outcomes of intraoperative 5-fluorouracil versus intraoperative mitomycin C in primary trabeculectomy surgery. Ophthalmology. 2009;116:185–90. Panarelli JF, Banitt MR, Sidoti PA, et al. Clinical impact of 8 prospective, randomized, multicenter glaucoma trials. J Glaucoma. 2015;24:64–8.